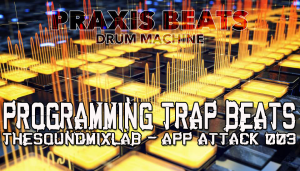 App Attack Ep 003 – Making a Trap beat with an iPad and Praxis Beats app. The following video demonstrates how to make a Trap beat with 32nd and 64th note snare rolls and high hat patterns the using Praxis Beats app. 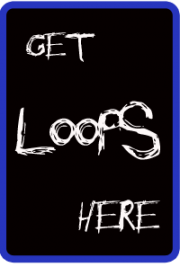 As always you can download the free Trap beats, loops, kits, and samples from the video here. One of the key components to a proper Trap beat is the use of 32nd and 64th note snare rolls and high hat patterns. Most of the Trap tutorials for iPad fail to mention this. In this video I show you how to quickly produce those types of patterns using an app called Praxis Beats. The one thing this app is really good at is producing total sonic mayhem. This can be useful when working on glitch beats and rhythms. Version 2 effects automation as you can see is quite nice with two global x/y pads. Global effects include reverb, delay, distortion, speed, filters, volume and pan. Praxis Beats does not come with tons of sounds and patterns but in version 2 there is an in app option to unlock 2500 samples for free if you choose to. Randomize is a great feature. Randomly generate an entire pattern and solo samples to find the sweet spot OR take the whole thing in and tweak it from there. Now let’s get on with the Trap beat. I’ve created a custom Trap kit which you can download for free of course as well as a simple Trap pattern. Now then, I’ve seen a few how to Trap videos for iPad on Youtube and all of them fail to use 32nd and 64th note patterns which I find disappointing as this is a major characteristic of Trap music, specifically when programming high hat patterns. Praxis Beats makes programming 32nd note patterns a breeze but what truly makes it special is the fact that you can work with up to 128th note performances. This is huge. I can’t think of another app that can drop 128th notes down with one press of a button. Can you? Comment below. Now let’s add some pitch alterations to each of those micro patterns. Here you can edit volume, pitch (speed), and panning for each note. You get control over volume, panning, and speed (in this case pitch) per note down to the 128th note. I can create a bassline by changing the pitch of the sub bass notes as well. See how simple it is to create variations and changes for your grooves? Now let’s mess it all up! Thanks for watching. This is Dj Puzzle your host and as usual you can down the samples, kit, and loops from this video in the Youtube description. Please subscribe for more.